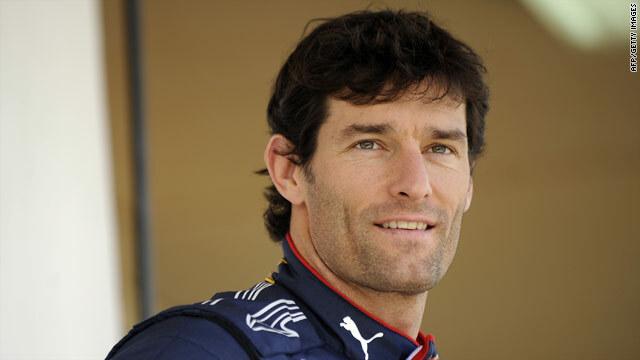 Mark Webber has confirmed he has no intention of quitting Formula One at the end of the season. (CNN) -- Red Bull driver Mark Webber has refuted Lewis Hamilton's claims that he might quit Formula One at the end of the season. Ahead of this weekend's Australian Grand Prix in Melbourne, McLaren driver Hamilton was quoted as saying he thought Webber might call it a day at the end of the season. But speaking to reporters ahead of his home grand prix, 33-year-old Webber revealed he had no such retirement thoughts. "I am very motivated, enjoying my job and looking forward to a great season, which is the way I have always approached every year," said Webber -- who is in his ninth season in the sport. "I have no intention at all of retiring whatever season I have. It is Lewis' opinion and he is free to have that and I don't have a problem with that. "I am very happy at the moment driving for who I am driving for. It is a very, very good situation at the moment and I am looking forward to it." Webber broke his duck last season by winning two grand prixs on his way to fourth place in the world drivers' championship -- results achieved despite breaking his leg in a cycling accident before the start of the season. "There are a lot less concerns for me this season. I already have a grand prix under my belt and while there are still a few little niggles here and there they are absolutely nothing compared to last year. "I am in good shape, I feel good and I am ready to go for a whole season and obviously not just this weekend," he added.